Upon doing some research on the latest DSLR camera pricing, I was surprised because I have always been under the impression that if you wanted a good DSLR you would have to put out over $1000. And truth is, that was probably correct all the way up until this past generation of DSLRs if you wanted a fully featured high performing DSLR. But with the recent generation of DSLR cameras, technology has advanced far enough that you can spend under $500 – the cost of a PS4 – for what just a few years ago would have cost you $1000+ and a few years before that up to $5000+. 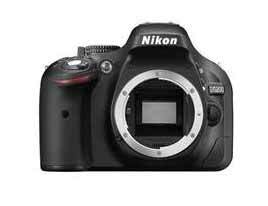 Nikon D3100 is the model before D3200 but it does not have an external mic port. This means that you cannot connect an external mic to the D3100, which means your audio quality is limited to the onboard microphone. As a result, I would not recommend to get the D3100 or earlier since audio quality is such an important factor. However, the D3200, D3300, D5200, and D5300 all have an external mic port. 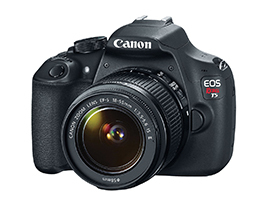 Next, the Canon Rebel T5 does not even come close – in fact, it is rated at just half as good as the Nikon 3300, despite being about the same price. So let’s knock Canon T5 off the list also. Additionally, although the Canon Rebel SL1 is about 15% better than the Canon Rebel T5, is still comes nowhere close to the Nikon D3300. So again I will knock that off the list, it’s not worth mentioning for the comparison. 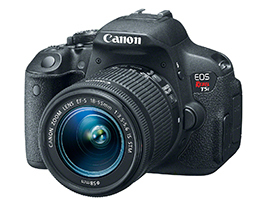 Likewise, the Canon Rebel T5i is about 15% better than the Canon T5, and is on par with the Canon SL1, giving some additional features and losing some features; and also it is more expensive, starting at $600. Still however, it does not even come close to the Nikon D3200 or Nikon D3300, so we won’t bother using it for the comparison either. Since both the Nikon D3200 and Nikon D3300 rate way better than all the Canon DSLRs at the price range, this makes the Nikon the better choice over Canon for the price range of $500 or less. 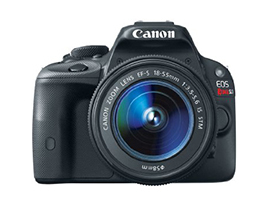 The interesting thing is that the Canon are significantly more expensive and have significantly less features. It’s probable that you are merely paying for the brand name of Canon. Please note, I am a big Canon fan. So although I don’t recommend a Canon for an entry-level DSLR because the Nikon is so much better at the price range, I’m not at all discounting Canon; and I haven’t done the research for higher end DSLRs so I can’t tell you if the higher-end Canon or Nikon DSLR are better because that’s not what this post is about. Lastly, The Nikon D5300 beats the Nikon D3300 on every level, and is a far better camera – but is also almost twice as expensive. So where the Nikon D5300 is something to keep in mind as an upgrade from the D3300, since the price point starts at $700 for the camera body alone ($1000 after you add lenses and accessories); it is in a completely different category of price; so we can’t include the D5300 in this comparison despite the fact that it is a superior camera to all the other ones listed in this post. So let’s discuss these three cameras. The Nikon D3200 records video at only 30fps, but the Nikon D3300 and Nikon D5200 both record at 60fps. 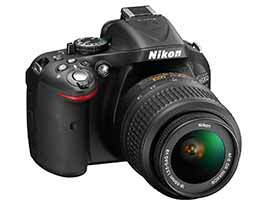 So if you need better video, then the Nikon D3200 may not be best for you. Another downside is that is shoots slower continuously than the other two, at 4fps during continuous shooting vs 5fps for the other two. However, I wouldn’t worry bout this because it’s still a pretty awesome framerate for continuous shooting vs say your point-and-shoot compact camera. 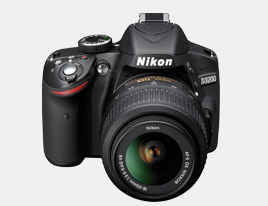 The Nikon D3200 is also significantly less expensive than the other two. 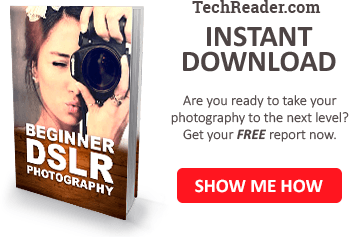 If you’re lucky, you can pick up a camera and lens, which is everything you need to start snapping photos and videos, for only $350, which is 33% less than the Nikon D3300 and a whopping 64% less expensive than the Nikon D5200. However, you might have a hard time finding a great price and you’re more likely to find a new bundle in the $450 range. The Nikon D3300 has a better ISO setting and also far better light sensitivity. The Nikon D3300 has 12,800 ISO at 1 f-stop, whereas the Nikon D3200 and Nikon D5200 both have a dismal 6,400 ISO at 1 f-stop. 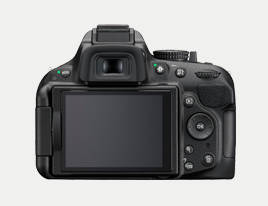 This means that the Nikon D3300 shoots twice as well in low light as both the Nikon D3200 or the Nikon D5200. So, for low light, the Nikon D3300 trumps the other two. The Nikon D3300 is also much lighter and smaller than the other two, at about 10% less than the Nikon D3200 and about 20% less than the Nikon D5200. So the Nikon D3300 wins here as well. 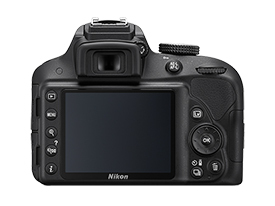 The Nikon D3300 also has a larger viewfinder, faster startup speed (on boot), and a longer batter life. At only $450 to $550 for a bundle package, this is still an awesome price point. Something I really like about the Nikon D5200 that neither the Nikon D3200 nor the Nikon D3300 have, is a flip-out screen. This can be a very handy feature especially when dealing with tricky shots or shooting video. Additionally, the Nikon D5200 has significantly more focus points than both the others, which will result in better and sharper pictures. 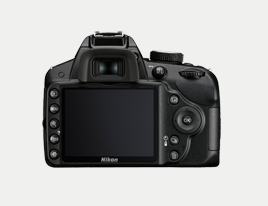 The Nikon D5200 has 39 focus points and 9 cross-focus points, destroying the other two on this spec which have 11 focus points and only a cross-focus point. Another cool feature that the Nikon D5200 has that the other two do not is in-camera HDR. It also has a better dynamic range, but it didn’t seem significantly higher at 13.9EV vs 13.2EV for the Nikon D3200 or 12.8EV for the D3300. You can pick up one of these for a mere $550 ($650 with the lens); but if you want to take a chance you can even get a refurbished one for around the same price as a new Nikon D3300. 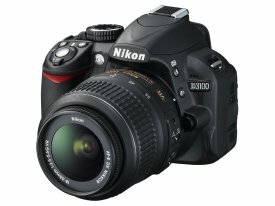 From my pros and cons list above, I’m thinking that the Nikon D3300 is probably the best choice for the price and features. The Nikon D5200 is better because of greater focus and the flip out screen, but really you would need to get the Nikon D5300 to match the Nikon D3300 in overall features and improve on them. 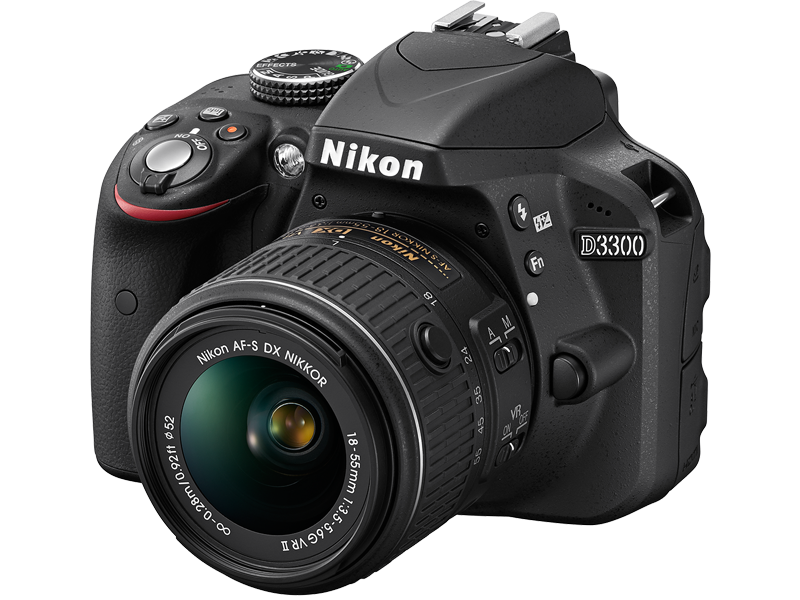 As it is, the Nikon D3300 kind of trumps the Nikon D5200 because the Nikon D3300 is faster, smaller, less expensive, and performs far better in low light. To me, low light performance is a more important feature than number of focus points. Focus points are more of a luxury whereas low light performance is more of a necessity. And while a flip out screen would be nice, again it is more of a convenience. Since low light is so important to me, the Nikon D3300 performing better in low light trumps both the flip out screen convenience, as well as the better focus points luxury of the Nikon D5200. Additionally, since I would choose the Nikon D3300 over the Nikon D5200 for the primary reason of performing better in low light; and since the Nikon D3200 performs equally as poorly in low light as the Nikon D5200, then it would suffice to say that I would choose instead the Nikon D3300 over the Nikon D3200 despite the $150 (33%) cost difference. On the other hand, if low light performance is not very important to you, and you have a slightly higher budget, then you might want to consider the Nikon D5200. However, if you just don’t have the budget and want the absolute lowest priced DSLR with adequate features, then the Nikon D3200 is still an excellent choice. Although the Nikon D3200 is not as good as the Nikon D3300, it is still a very excellent choice, and at $350 it’s truly a steal.